Masters final form Fill-up Notice Start from 11th April 2019 Under National university of Bangladesh. 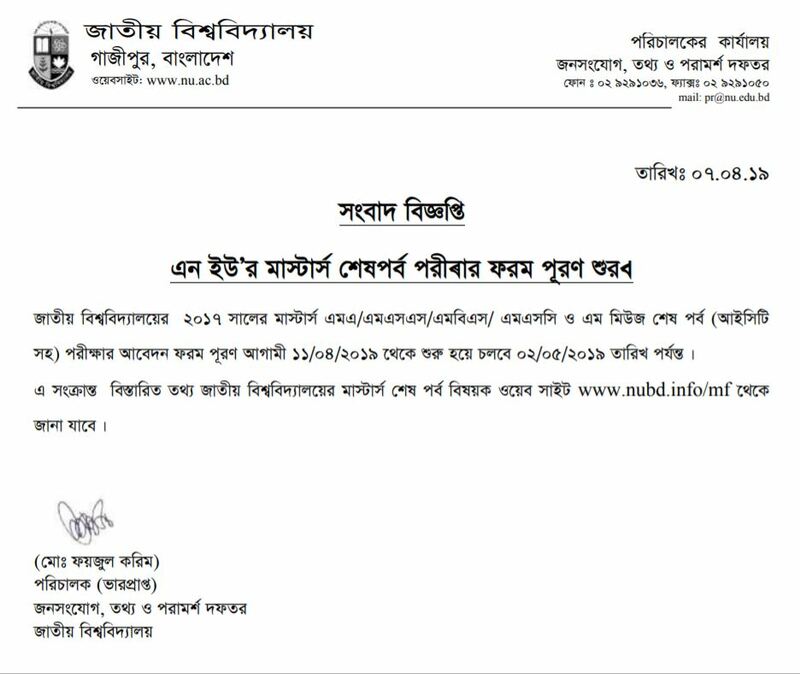 The National University of Bangladesh Has Published The Notice of Masters final form fill-up Notice 2019 for the Session of 2017. Masters final form Fill Up Start on 11th April 2019 to 5th May 2019.